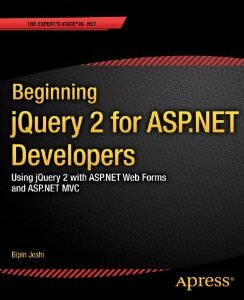 My latest book - Beginning jQuery 2 for ASP.NET Developers. Specifically written for ASP.NET Developers this book covers all the essential information about using jQuery with ASP.NET Web Forms and ASP.NET MVC applications. More information about the book can be read here.